Sale's recent England international signing phase doesn't stop with the recent capture of Marland Yarde. 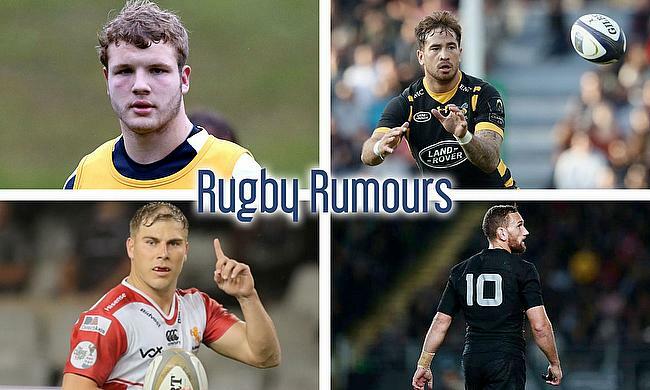 There is rumblings that the ever impressive Wasps' lock Joe Launchbury will be making his way North too. Rehabing from a knee injury and with his international ambitions squashed, it's no wonder that Danny Cipriani is looking for a move. He's gathering interest from the Top 14, notabley from France's table toppers Lyon Olympique Universitaire. Bristol aren't shy of an international All Black, currently with back-row giant Steven Luatua rampaging his way through the RFU Championship. The English 2nd tier big spenders have moved in on their next New Zealand target with fly-half Aaron Cruden. Jaco Van Der Walt was among 18 players released by the Super Rugby Lions outfit, who have made substantial cuts their 18/19 season budget. The 22 year old utillity back is said to be signing a 3 year deal with the Pro 14 side Edinburgh.